Have you ever had the experience where you just learn a new word and then you start to hear it being used everywhere? Or maybe it’s a new activity you heard about and then you start to see it on TV or hear about it on the radio, or you suddenly read posts about it on Facebook? That happens to me all the time – and I always figured that it was kind of the world’s way of confirming that I had learned something important. As a teacher, I love when this happens in my classroom. Usually, I’m reading a book aloud to my students, and they seem particularly interested in an aspect of the story, and then it suddenly starts to tie in with other things we’re learning about, and then I get excited too and we all decide to delve wholeheartedly into studying that topic in more depth together. And these moments, or days of learning, where we are following the students’ interests and being led by what we are fascinated with as a group, are always when the kids learn the most and remember the learning for years. Learning is meant to be exciting! In fact, my favourite part of being a teacher, is coming up with creative ways to make any subject seem provocative. Usually the best way to do this is to go where the kids are interested and build from there. When my 2.5 year old son, Onetime, started to be able to walk and talk – I began using the same “teaching” philosophies with him. 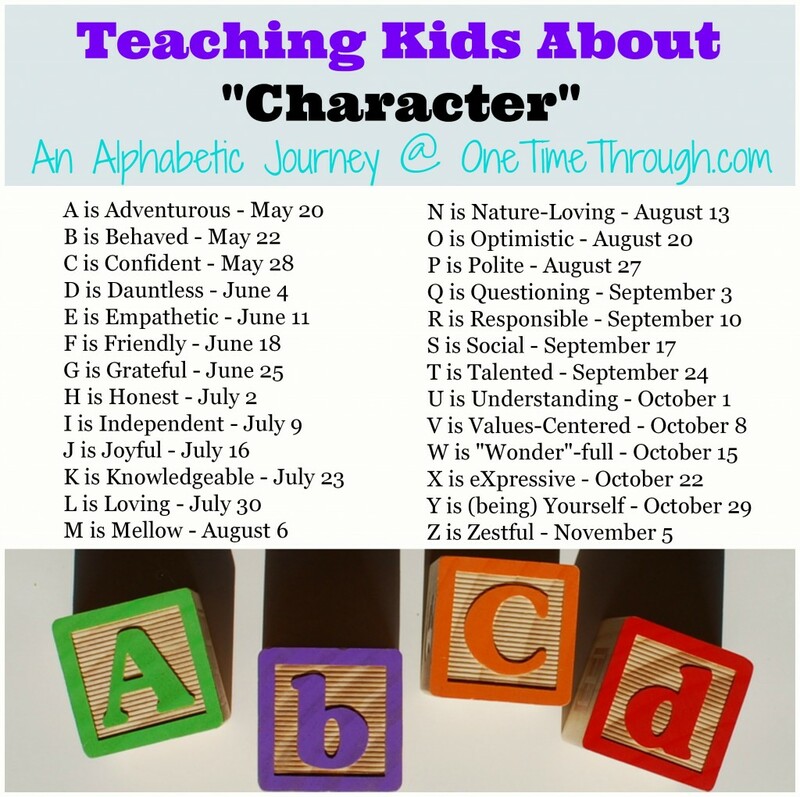 Our topic for this week’s “Teaching Kids About Character: An Alphabetic Blogging Series,” is K is for Knowledgeable. As I’ve touched on above, I think that the best way to encourage kids to learn more about the world and more importantly, to learn to LOVE learning, is to let them take the lead. 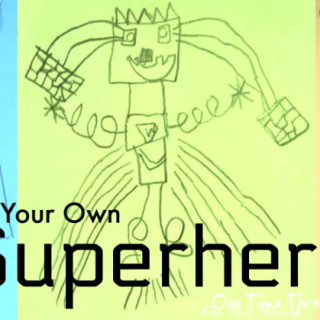 In today’s post, I am sharing 4 easy ways to help your child grow up to be someone who loves learning, gets excited about reading, and is curious about the world around him or her – all characteristics that will help them be successful in life. In teacher’s college, “teachable moments” was a buzzword that got tossed into every assignment and mentioned in every presentation, until it became part of a running joke for my class! But, the concept is powerful and important to remember. 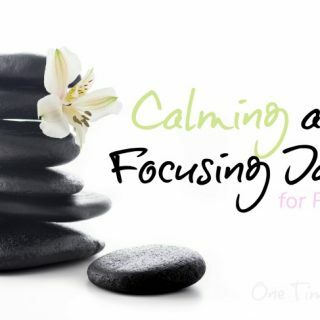 Basically, the idea is that it’s important to remain tuned-in to the world around us and notice how our kids are reacting to what’s happening around them. If our kids are interested in something, jump on that moment and use it as a learning opportunity. If we allow ourselves to get so caught up in what we’re doing that we miss opportunities to follow our children’s interests and natural curiosity, we lose out on precious chances to enrich our kids’ understanding, and we lose a chance to nurture our child’s passions. 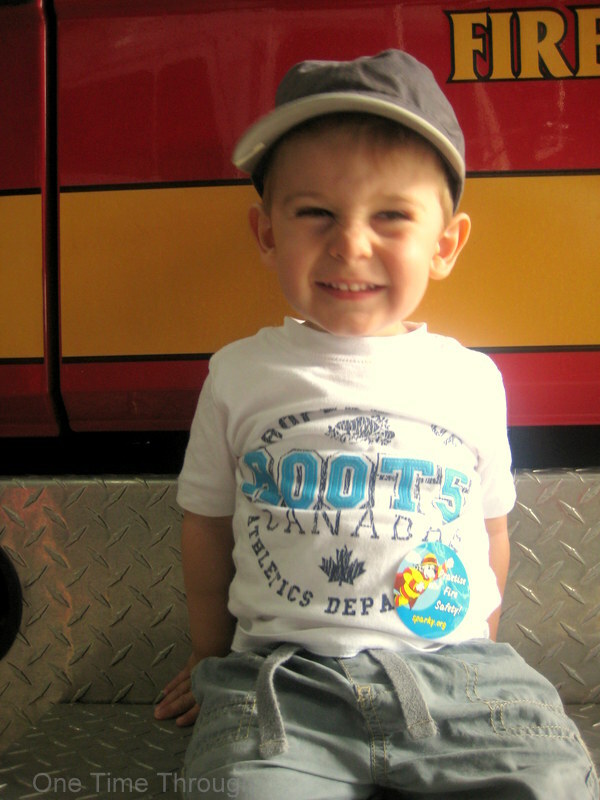 We noticed when Onetime was a toddler that he was very interested in fire trucks and fire fighting! 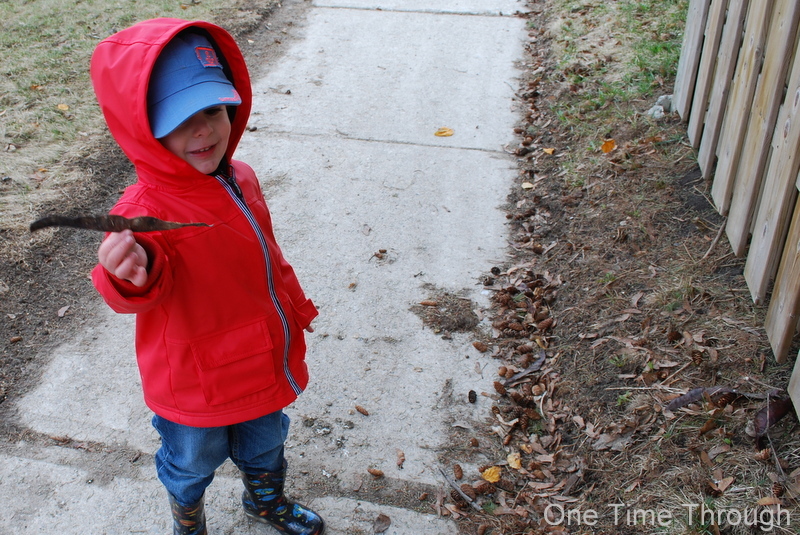 With Onetime, taking advantage of teachable moments has often meant that we stop and look at things that interest him while on walks (even if we’re in a bit of a rush!). It means slowing down while reading to make sure his questions are answered (even when we’re 1/2 hour past bedtime already). It means recognizing when something is exciting him and providing him with more of that – (even if we’re sick to death of hearing about firefighting!) And it means playing “the Choo-Choo Train game” 10 times (when you were bored after the first time!) You get the picture! One of the easiest and best ways to get kids excited about learning, is to expose them to a new experience. As a teacher, I always try to start a new unit with a field trip, a science experiment, a movie, or a dramatic experience that relates to what we are going to learn. It gets the kids excited and interested and stimulates their inquisitive sides. 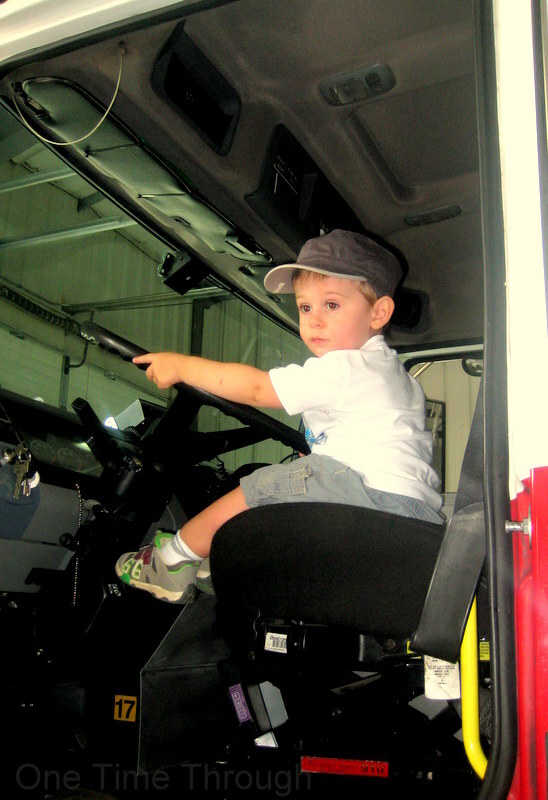 Onetime was thrilled to get to sit in the driver’s seat of the local firetruck! There are so many ways to do this with young children, and the experiences don’t have to cost a lot of money. 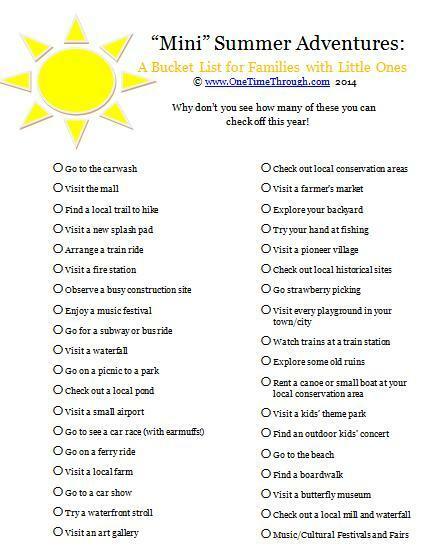 In my post A is for Adventurous, I provided a FREE printable list of “mini-adventures” (click here for your copy) that are perfect for 2 to 6 year-olds to get them out and experiencing new things. The trick to taking a fun experience (like the ones above) and using it to help your child learn, is to continue building on that experience after it’s done. 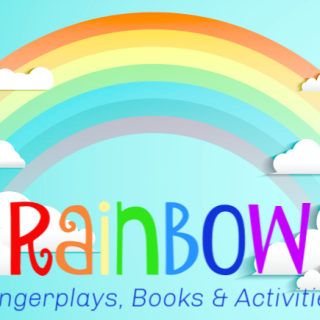 Two of the best ways to do this, are to read non-fiction about the experience and to incorporate some of that experience into your child’s play. I think there is a bit of a mistaken belief “out there” in the parenting (and teaching) world that non-fiction texts, full of real facts and information, are less important to read to young children than stories. Fictional (made-up) stories are certainly really appealing to young children and terrific for expanding kids’ imaginations. They tend to have fun language and can be really helpful for teaching kids to read. They can also be used really effectively for teaching kids about other people’s feelings (see our E is for Empathy post). However, non-fictional texts are ideal for helping kids learn more about the world and are really engaging for young children – especially if they are introduced after a related experience. 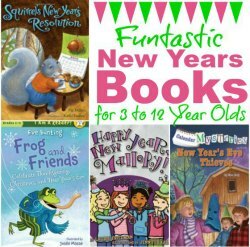 There are even lots of books out there that use a blend of fiction and non-fiction to make the books even more engaging. 1. The Magic School Bus Series: I started reading these books to my son when he was 1 1/2 years old even though much of the vocabulary was above his understanding (By the way – it’s okay to do that! It’s one of the ways you can boost your child’s oral vocabulary). He loved the cartoon pictures and especially loved it when I used different voices to portray the unconventional science teacher Ms Frizzle and the different kids. These books use highly engaging fictional characters and scenarios to teach real scientific concepts and facts about a variety of topics. If you haven’t read these books before or seen the TV show, the class always goes on amazing and technically impossible field trips (like when the bus turns into a rocketship and they take a tour of the Solar System). Along the way, the student characters learn about the topic and so does the reader. Most of Richard’s books depict the characters going through daily life, but the reader gets an extra glimpse behind the scenes. For example, in Onetime’s favourite Richard Scarry book, Richard Scarry’s What Do People Do All Day , we get to see how firefighters get called to a fire, how the postal system works, how lumber is converted into paper and other wood products, and how a house is built, and how bread is made, among other adventures. The stories are often quite funny and lend themselves to being read over and over (one of the things kids need in order to learn new facts and solidify their understandings). But regardless of what non-fiction books you choose to read with your child, if they have had an experience with the topic in some way, they will be more engaged with the reading. After having an experience, and then reading a book about a similar thing, you can easily have discussions about how the book was the same or different from the real thing. For kids, reading about something they experienced is a much richer learning experience than just picking a book at random. Kids are also likely to remember what they have read and learned when they have made several connections between what they read and what they have seen. Play is such a natural way for children to process what they have learned and it’s an easy place for parents to enrich their child’s understandings. 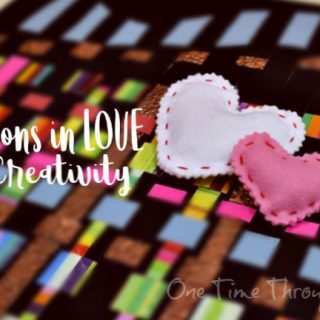 After an exciting experience, kids often will spontaneously start to incorporate it into their imaginative play. 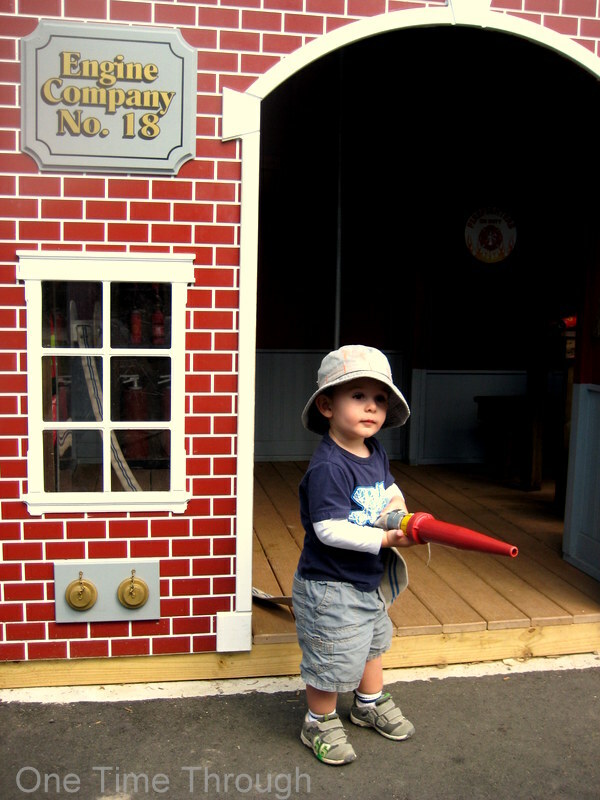 For MONTHS after our fire station visit, Onetime wanted to play fire fighter. The black ottoman in the living room became a truck, and every guest to the house was asked to join him in riding to a new fire or emergency! We enriched the play experience by providing simple PROPS for him. My husband got a length of plastic electrical cord protector and that became a hose. 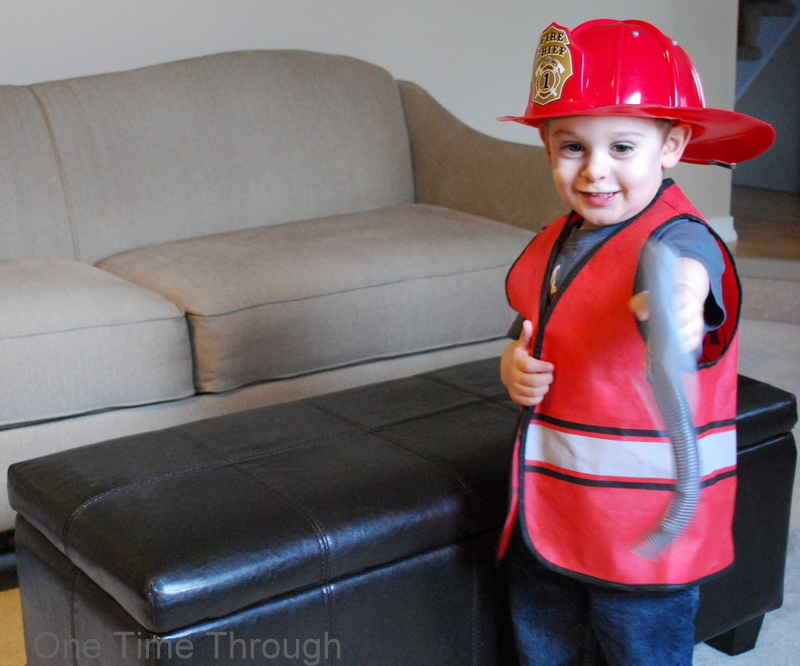 We found a perfect fire fighter’s hat and vest at the dollar store. We also joined him in his play as fellow fire fighters, paramedics, a fire chief, witnesses to fires, and as people caught in fires. During our play, I always strive to follow Onetime’s lead, but am not afraid to add extra information into the mix to build on his learning. Here is an excerpt of one of our fire fighting play sessions that I tape recorded so you can see what I mean. A lot of these strategies I learned when I took special teaching qualifications in Drama – but they work very nicely for playing with kids too! Our actual words are in italics and my notes are in brackets. Me: Do we need anything else? Me: Should we put something on first? Me: Okay – let’s go in! What do you see? I’ve got my flashlight. Onetime: Smoke – there’s a person! Let’s rescue them! I call for a ambulance. Onetime: We put seatbelts on (Him reminding me as he has taken on the role of the “leading” fire fighter now. Perfect!) Honk-honk weeeee-oooooo! 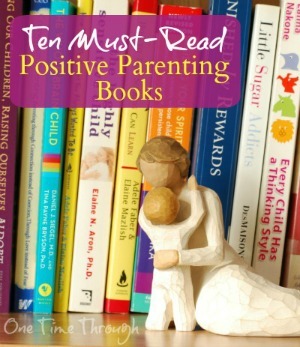 We had so much fun together this day – and I could really see how me playing with my son enriched his understanding and processing of some of the books and experiences that he had read and had. This “play” only lasted maybe 10 minutes tops and I know it meant so much to my son to have me fully join him in his world. 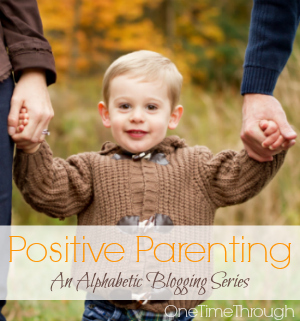 For other ideas on connecting with your child in a short period of time, check out our J for Joyful post. Well – I hope you’re not too tired of hearing about fire fighting – it’s just one of the best examples I had of helping young children love to learn. These same ideas will apply to you and your children regardless of what their interests may be. 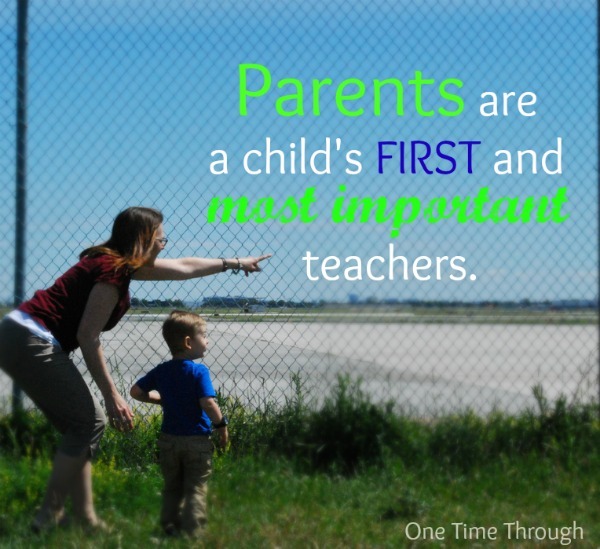 It just takes a little conscious noticing sometimes and a willingness to follow your child’s lead! 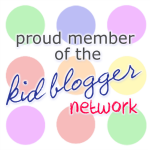 I would love to hear about any way that you have nurtured your child’s interests. Leave a comment below – they truly make my day! 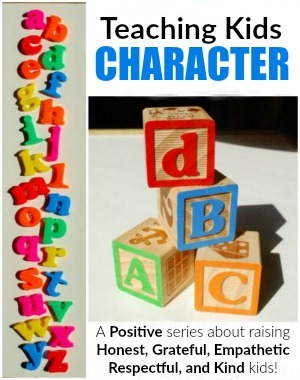 To find all our series posts, be sure to visit the Character Series page. What a wonderful and very informative post. Just so much great info! Thank you!! Love the firefighter interaction with your son. My husband is a retired firefighter and we have 4 sons (all grown up now), but how I miss those days when they were little! Thank you for these insightful tips. I agree about making ‘teachable moments’ as often as we can. I hadn’t considered non-fiction for learning, but it’s such a good idea! Thank you for the book recommendations too, I must check them out. Thanks so much for dropping by Tarana! I’m glad you enjoyed this week’s post. Don’t you find too that if you’re enjoying the books you read to your child – they enjoy them more too? That’s one of the great things about those the two series I mentioned. They’re fun for adults too! Thanks so much for dropping by Merlinda! Glad you enjoyed the post! Have a great week! Oh – you’ve got to go! 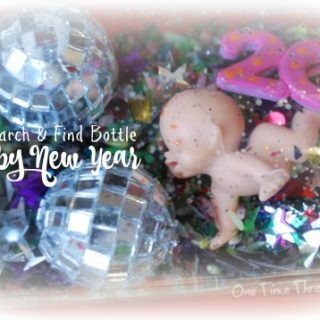 So much fun for kiddos! Thanks for dropping by again!